LOS ANGELES, February 4, 2019	(Newswire.com) - Webalo, Inc., the UX Platform for the Frontline Workforce™, announced today the launch of Webalo 5.0, the latest version of its transformative, no-code, frontline workforce app generation platform. 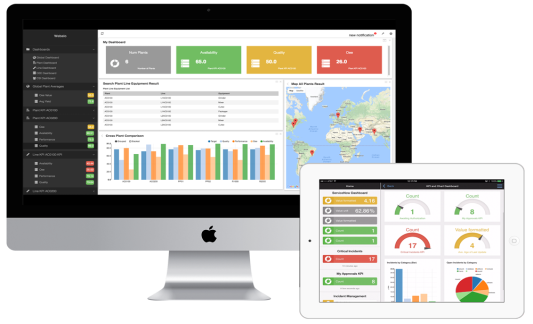 Webalo 5.0 includes new features specifically designed to increase business productivity, improve operational efficiency, accelerate time to market and improve customer and workforce satisfaction. Webalo's User First™ approach automatically generates and personalizes apps from enterprise data sources, such those from IBM, Microsoft, Oracle, and SAP as well as industrial data sources such as AVEVA, GE, Rockwell and Siemens. 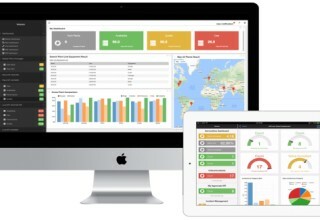 Webalo enables frontline workers to simplify and improve their daily activities through real-time access to actionable analytics, alerts, and notifications, as well as desktop and native mobile bi-directional interaction through intelligently managed workflows, all of which combine to help them make better, more informed decisions and improve their business productivity. - Tighter integration with industrial data sources such as Historian databases and Manufacturing Execution Systems (MES). - Powerful “Connect & Deploy”-- a no-code app delivery capability that provides end users with the ability to easily generate new applications in an ad hoc, drag and drop manner, directly from their Webalo Desktop Client. - Actionable visualizations are now defined at the individual user level, providing frontline workers with the flexibility to create their own custom views of apps and share them with their co-workers. - Enhanced workflow management empowers frontline workers in a more intelligent way, with multiple visualizations of the same task using different parameters. - Automatically-generated tasks and actionable visualizations to operate over MES asset hierarchies and Historian tags that make the data more actionable and visible to all stakeholders. 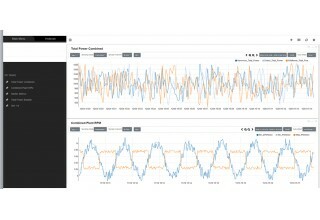 - Contextualized dashboards that provide embedded asset hierarchy, selectable timeframes, and custom user inputs. - User-managed editors to create and modify trend charts, with out-of-the-box Historian services, allowing frontline workers to modify the way they request and display Historian tag values by selecting a Historian sampling mode from a drop-down menu, and then configuring the options that appear for that node. - PDF report generation, providing a new way of sharing data interactively with co-workers. Webalo transforms enterprise grade data into available, scalable and secure User First applications, bringing elegant solutions to enterprise mobility. No-code app generation platform drives workforce productivity by enabling applications to be generated from multiple industrial and enterprise data sources. First step in achieving Digital Transformation for the Enterprise.